Building upon the very successful January Leg Up! session on how to deliver a successful elevator pitch, entrepreneurs are invited to present their very own pitch to a Leg Up! audience at 6:30 p.m. Wednesday, Feb. 12, at The Johnson Center at Cleary University. This is an opportunity to get your message out and receive feedback on improving your personal sales and communication skills. Entrepreneurs will be given up to two minutes to give their pitch. There will be a follow-up feedback (question & answer session) immediately following each presentation. It is anticipated that this Leg Up! meeting will be well attended, so attendees should bring plenty of business cards along with an energetic focus for connecting with other entrepreneurs. 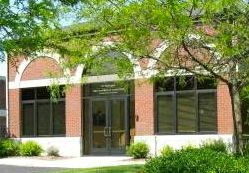 The Johnson Center is located at 3750 Cleary Drive in Howell. For more information, contact Pat Convery, President of the Howell Area Chamber of Commerce, at 517.546.3920 or pconvery@howell.org. LegUP! is a collaborative effort of the Howell, Brighton and Hartland chambers of commerce, Cleary University, Livingston County SBTDC, SCORE and the Livingston County libraries.The group brings together entrepreneurs monthly for educational, networking and resource opportunities. There is no cost to attend, and free parking is available.